The DuraFlo™ is the strongest, most rugged and reliable hydraulic-submersible trash pump on the market. These extra heavy-duty pumps are built with the muscle and strength to handle the most difficult pumping jobs. They are battle tested in rental and contractor operations for environments where pumps must perform – day and night – in mines, on job sites, in sewage bypass operations and in industrial applications. MWI invented and patented the hydraulically-driven axial and mixed flow pumps- and bought the company, Sloan Pumps, which invented and patented the hydraulically driven trash pumps. 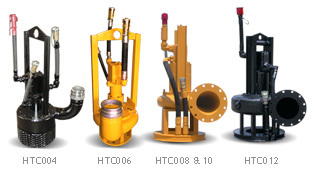 MWI has a wealth of experience building these pumps and they are in use all over the world. Want the best – buy from the best.